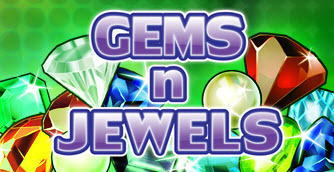 Overview: Gems n Jewels features a Wild, a Scatter and up to 30 free spins with a 3x multiplier and a maximum payout of 60,000 coins. Players will be Romancing the Stone in this game - the Emerald to be precise, which is the Wild, and 3, 4 or 5 of these glowing green gems will trigger the free spins feature, where all winnings are tripled. 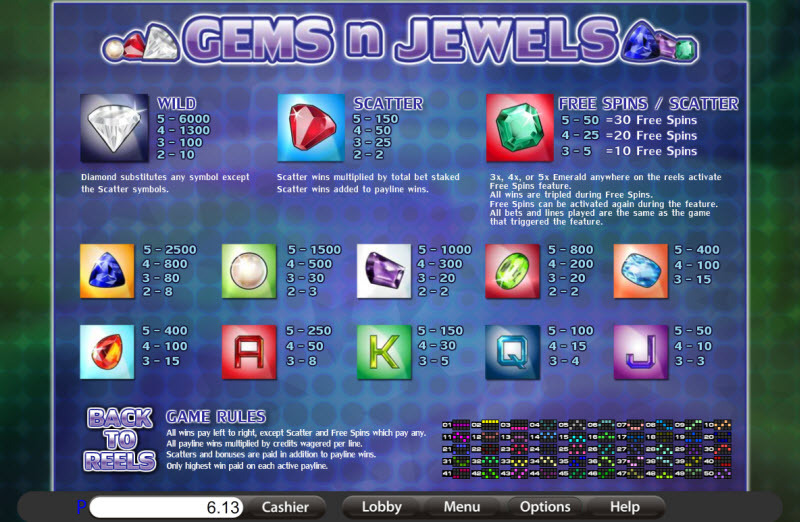 If color, cut, and clarity is the yardstick for a diamond's excellence, then the same must be said for the BETONSOFT slot - vivid, crystal clear graphics combined with an irresistible array of features that make this game a treasure chest of opportunity for you. 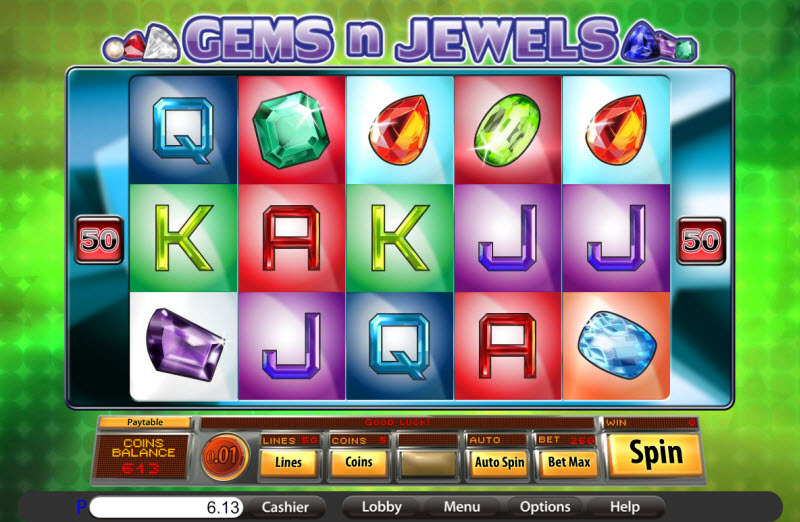 Those curious about this game will find themselves drawn into the lap of luxury as they discover a bright new dimension of glitz and glamour in the classic slot genre, a richly rewarding collection of fire and ice that will not only generate feverish excitement, but is certain to become an enduring favorite. Similar Slots: If you like Gems n Jewels, you might like these other slot machines from Saucify: Age of Spartans, Dream Wheel, Legends of Olympia, The Purse of the Mummy, Wild Berry.